British cyclist Nicole Cooke has raised serious questions about the accountability of British Cycling, its relationship with Team Sky and the use of TUEs by British cyclists in evidence given to the Culture, Media and Sport (CMS) Committee of the UK Parliament today. Cooke, who in 2008 became the first cyclist to win Olympic Gold and the World Championships in the same year, alleges that British Cycling is a male-dominated culture that UK Sport has failed to hold to account for how it spends public money. • Only criminal investigations have led to any meaningful sanctions against dopers. 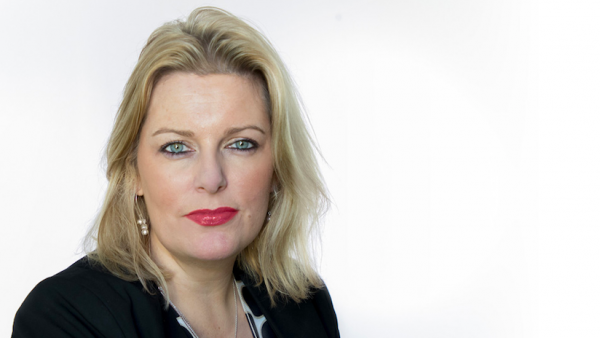 Many of Cooke’s allegations built on accusations made in a 2015 interview with The Sports Integrity Initiative after the Sports Resolutions conference, as well as issues outlined in her 2014 book, The Breakaway. 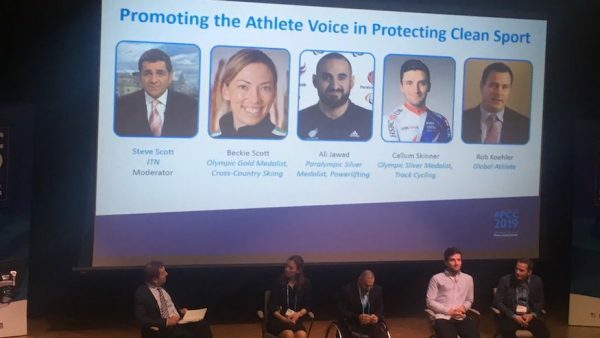 Her main contentions are that British Cycling is spending public money on a ‘sport run by men, for men’, and that the ‘wrong people’ are ‘fighting the wrong war, in the wrong way, with the wrong tools’ against use of prohibited substances. 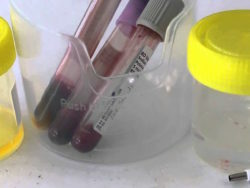 Cooke alleges that the TUE process is being manipulated so that athletes can benefit from the use of prohibited substances. 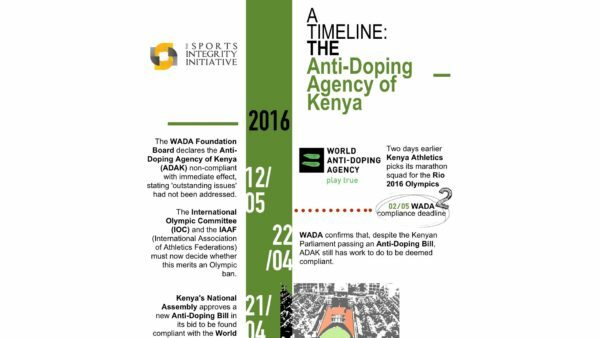 TUEs are designed to be used by athletes who have illnesses or conditions that require them to take medication that features on the World Anti-Doping Agency’s (WADA) Prohibited List. Cooke doesn’t contend that British Cycling or other anti-doping organisations (ADOs) have broken any rules. She alleges that the TUE system is being used to allow athletes to take prohibited substances out-of-competition (OOC) that are thought to have performance-enhancing effects when that athlete returns to competition. Cooke’s evidence suggests that rather than cracking down on TUEs, sporting organisations are changing the rules to make it appear that TUE use is declining. Cooke said that the evidence given by British Cycling to the CMS Committee that in 2016, cycling only granted 13 TUEs globally is ‘misleading’, as this only represents TUEs granted by the Union Cycliste Internationale (UCI). ‘There are a variety of other bodies that a cyclist can go to obtain a TUE’, reads her written evidence (PDF above). ‘A further fact is that TUE numbers have declined because a whole serious of PEDs [performance enhancing drugs] had been taken off the list of banned substances if used OOC, or in the case of a range of asthma medications, thresholds have been adjusted to higher levels so athletes can take drugs that have performance-enhancing side effects in small does, and not trigger a failure’. 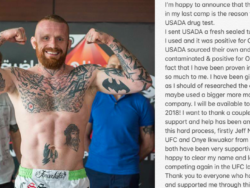 The accusation that OOC TUE use is being managed so that athletes can gain any performance benefits of the medication when they return to competition. was made the 2015 Cycling Independent Reform Commission (CIRC) Report. It is also an argument that Fancy Bears has attempted to make through its publication of TUEs.
Cooke uses figures to highlight just how prevalent this problem may be. ‘In 2006, 12 of the 13 positive test results at the men’s Tour de France were discounted by riders having active TUEs’, reads her evidence. ‘105 of the 176 starters were tested, and 60% had TUEs. In 2008, 76 of the 180 riders who started the men’s Tour de France had TUEs.’ When the problem of widespread TUE use was highlighted to UK Sport in 2003/4 (UK Anti-Doping – UKAD – was formed in 2009), Cooke alleges that she was told: “there were a number of very poorly elite athletes competing”. The issue is especially pertinent given UKAD’s ongoing investigation into British Cycling and Team Sky’s use of triamcinolone. ‘This is a powerful steroid with known PED properties’, reads Cooke’s written evidence. ‘If the TUE process were to be reliably controlled, then an athlete would not be able to abuse its use OOC to prepare for a big event’. Fancy Bears revealed that Sir Bradley Wiggins held three TUEs for triamcinolone, the last of which expired in 2013. Cooke told the CMS Committee that medical experts had informed her that kenacort is “not an optimal treatment” for asthma, which Wiggins suffers from. Kenacort is the trade name for triamcinolone. Cooke also highlighted the “chronological coincidence” that Wiggins’ use of triamcinolone appeared to take place before major races. 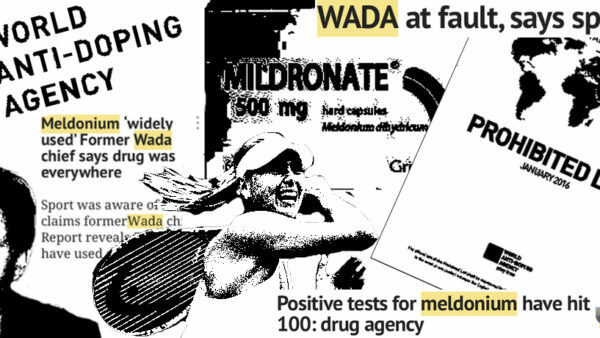 Triamcinolone (or kenacort) does not feature on WADA’s 2017 Prohibited List, however it is a glucocorticoid. ‘All glucocorticoids are prohibited when administered by oral, intravenous, intramuscular, or rectal routes’, reads Section S9 of the Prohibited List. In 2003, Cooke required a TUE to use triamcinolone in order to treat a knee injury. If it has a powerful, performance-enhancing effect as Cooke suggests, then this raises questions as to why it was decided to relax the rules on its use out-of-competition. As explained above, Cooke’s battles with British Cycling to gain funding and support for women’s cycling have been documented before. However, they have taken on a new level of significance due to Jess Varnish’s appeal against a British Cycling decision to reject eight out of nine allegations of sexism against its former Technical Director, Shane Sutton. She mentions that in his book, ‘Project Rainbow’, British Male Road Coach Rod Ellingworth writes that Shane Sutton was against him drawing up a plan for Mark Cavendish to win the 2011 World Championships and the London 2012 Olympics. ‘I think Shane felt that if we did all this for the lads, we would have to do it for the women, but I told him that wasn’t my problem’, the book reads, stated Cooke. Cooke told the Commons CMS that outright sexism is “designed in” to cycling, giving examples such as the UCI rule limiting women’s stage races to ten days, and mandating shorter distances with two riders in sprint events on the track, as opposed to longer distances with four riders for men’s sprint events. She argues that this inbuilt sexism manifested itself in the situation British Cycling’s Women’s Road Coach Simon Cope found himself in regarding the package to be delivered to Wiggins in 2011. Cooke said she found it “surprising” that Cope would get on a plane without knowing what was in the bag destined for Wiggins. “I find that astonishing and the fact that when British Cycling were asked for the records they weren’t able to find the documentation, I find that surprising”, she told the CMS Committee. However, Cooke also blames UK Sport for failing to hold British Cycling’s use of public money to closer scrutiny. ‘UK Sport do not offer effective oversight and do not hold BC to account, in fact the reverse is true with the model mainly being that BC and affiliated projects spend and distribute as they and they alone see fit, and also spend over budget with little fear of censure’, states her written evidence. ‘The management at BC are able to show discrimination and favouritism for projects and individuals without check or balance; they are answerable only to themselves’. 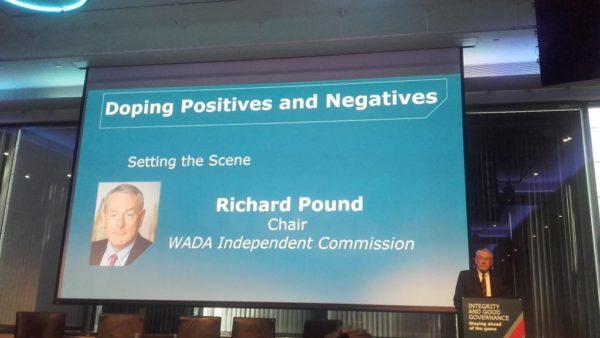 Cooke is also sceptical as to whether anti-doping organisations (ADOs) have sufficient resources – or are even willing – to follow up on information provided to them. She cited the example of María Luisa Calle, who she alleges was offered to her as a team-mate nine months into an apparent two-year ban for doping as an example of the conflict of interest that exists when national federations are involved in anti-doping. 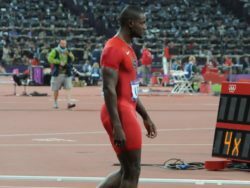 Calle later tested positive for GHRP-2 at the 2015 Pan American Games in Toronto, and is currently serving a four-year ban. ‘She retains her Olympic medal that was given back to her by those who earn their livelihood with guarding the interests of the clean athletes’, states Cooke’s evidence. Cooke argues that criminal sanctions are necessary in anti-doping, as ADOs are not doing their job effectively. In 2002 when she was 19 years old and in her first Tour de France, Cooke says she was put under pressure to use prohibited substances. “The message couldn’t have been clearer”, she told the CMS Committee. “My salary stopped after that”. 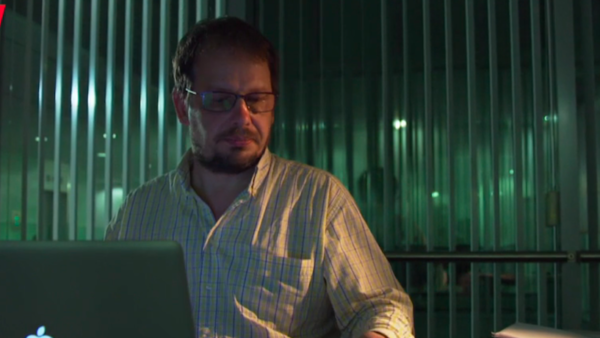 One of the the most controversial aspects of Cooke’s evidence is the connections between British Cycling, Team Sky and past allegations of doping. Cooke hinted at this when she told The Sports Integrity Initiative back in 2015 that “many of yesterday’s known dopers are today’s team managers”. Her evidence takes this a step further. Cope and Wiggins were ex-team mates with the Linda McCartney Foods cycling team, within which The Times reported that doping was rife. Cooke names a number of other British Cycling staff who rode for that team in her written evidence. 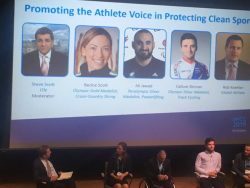 ‘As recently as June 2016 three of the British members of this team, Sean Yates, Max Sciandri and Matt Stephens, who is a commentator on the sport for Eurosport, all stated that UKAD had made no contact with them’, reads the evidence. Of course, riding on the same team doesn’t mean that any of the people named by Cooke have any connection to doping, however UKAD started an investigation in 2012, has yet to report its findings and it appears it has not spoken to some of the key members of that team. Given this, is perhaps easy to see why Cooke feels that ADOs are not committed to investigating elite athletes and criminal sanctions are necessary. Cooke’s allegations also raise questions as to how accountable sport should be for how it spends public money, and further questions as to whether regulations on TUE use should be tightened. Her evidence appears to suggest that sporting organisations are playing the TUE system by using it to achieve the ‘marginal gains’ of which organisations such as British Cycling are so proud, whilst at the same time changing the rules and selecting statistics in order to show a ‘public face’ that TUE use is declining. Cooke’s allegations will play into the hands of those that argue that anti-doping should be made entirely independent from sport. Her view appears to be that ADOs do not have the resources or appetite to take down major sporting stars and again, this could be connected to funding. ADOs are often allocated their funding from government departments. In UKAD’s case, it is funded by the Department for Culture Media and Sport (DCMS). 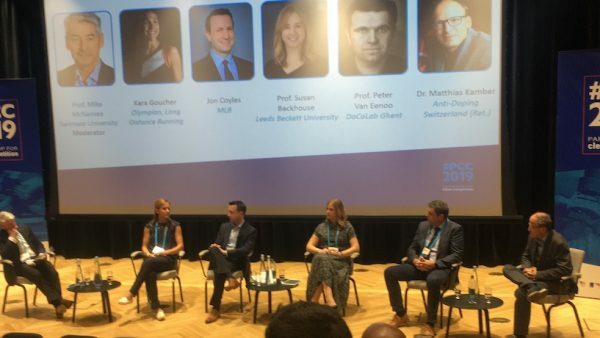 DCMS’s funding directly depends on sporting success, so it could be argued that ADOs do not have an incentive to conduct major investigations that could jeopardise that funding by sanctioning successful athletes. Although it would be very difficult to prove this to be true, Cooke would argue the potential for that flaw to exist ought to be removed from the equation.